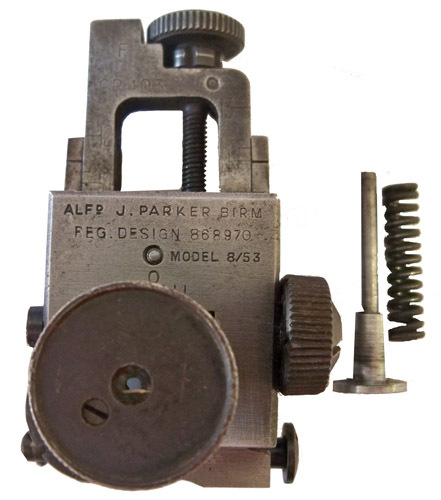 Alfred J. Parker Model 8/53. For sale within the UK. Adapted mk 1 adjustable rear sight for No 4 rifle. A rare sight c/w axis pin, pin retaining axis pin, plunger, spring and 6 hole eye piece. Ref 2702.